I have a goal to blog each day for the next seven days...even if it's just a photo. 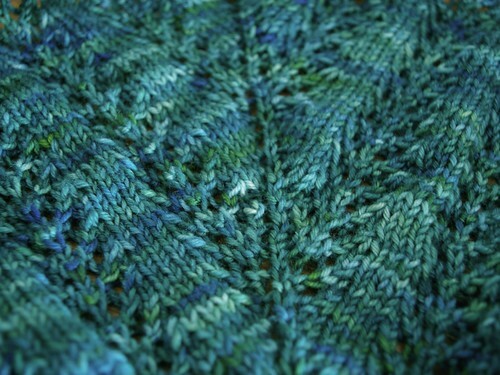 It's Clothilde by Kristen Hanley Cardozo, knit with Kirky Sock in Verdant. Buy yummy Kirky yarn HERE.